Remember those painful moments on the playground or in gym class when kids would choose sides for team sports? The captains of each team would dutifully pick who they thought were the best players until finally everyone had been chosen. It was no fun at all to be among the last ones picked. How do you think it makes God feel when we choose him last? After we have watched all of our favorite TV shows, we might have time to read the Bible. After listening to popular music all day, we might find a few minutes to pray. After we have spent money for the things we desire, we will see if we have anything left to give God. After talking endlessly about our family and friends, we could possibly have something to say about God. It would make God happy if we would choose him first. “…Choose for yourselves this day whom you will serve…But as for me and my household, we will serve the Lord.”—Joshua 24:15. 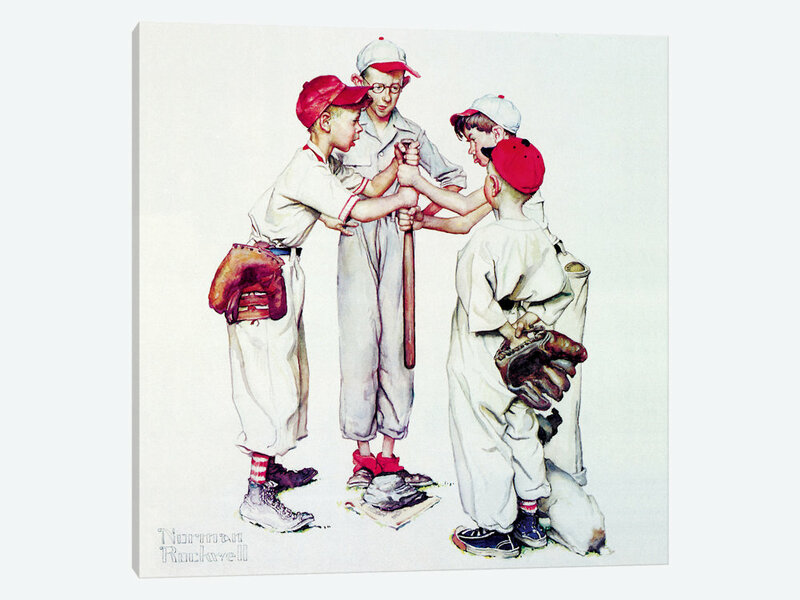 This entry was posted in Christian Living, Communion Meditations and tagged choose whom you will serve, choosing sides, illustration, Joshua 24:15, Norman Rockwell painting, picked last for sports, putting God first, worship. Bookmark the permalink.